Knowing when to say no is one of the hardest things in the design business. 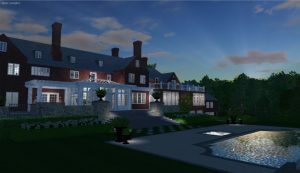 Trying to please client’s desires and aspirations is the overarching goal of the design professionals at IVY Studio, a landscape design and build consulting firm practicing residential outdoor design in the greater Boston metro area. In trying to satisfy the client’s needs and desires, sometimes you have to take a professional stand and justify a decision that perhaps is not in keeping with the client’s wishes, but our experience time again proves that this is the correct professional decision even if it goes against personal feelings. As long as you have a solid rationale for this with substantiated proof, this is the right way to proceed- even if at odds with the client and perhaps losing the client’s confidence and their project! Contact us at 781-591-0300 or vern@ivystudioMA.com to seek out our professional design services and expand your outdoor environment to the oasis of your dreams with our valued guidance.